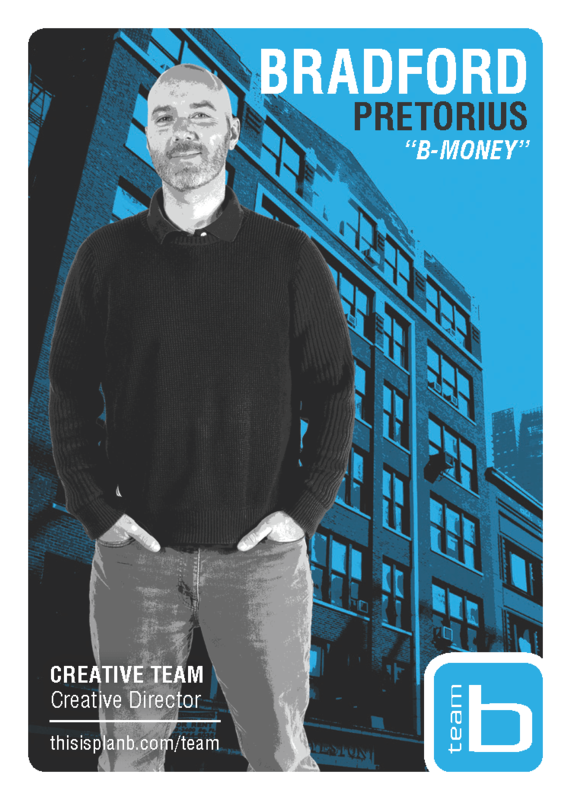 An award-winning, international creative with a strong, strategic mind, Bradford joins Plan B with over 13 years of experience in advertising and marketing communications. He served as a Senior Art Director at Ogilvy’s Namibia and South Africa offices before holding positions as Senior Art Director at McCann Fortune Promoseven and Associate Creative Director at Unisono, both in Bahrain. Throughout his career, Bradford has created successful campaigns for Stella Artois, VW, American Express, Coca-Cola, Sony Ericsson, and The Laughing Cow. Born in South Africa, raised in Namibia, educated in Australia and Chicago, and formerly employed in Bahrain, Bradford’s elocution is an accumulation of his life’s travels. He speaks Afrikaans, understands “ein bisschen” German, and spent a number of months milking deadly vipers. Needless to say, our account managers tread lightly around him.